Allow Vantage West to use your location. We apologize. This feature is only supported by the later versions of your browser. Please try updating. 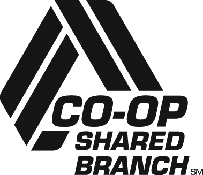 At this location, ONLY our ATMs participate in the CO-OP/Shared Branch network. West of Ste. Route 51, on the southwest corner. North of Thomas on the I-17 access road to Osborn. This location does not provide member services such as deposits, withdrawals, ATMs, or transactions. 2995 E. Chandler Heights Rd. 2428 S. Val Vista Dr.
360 N. Val Vista Dr. Located in the Safeway shopping center. 24890 N. Lake Pleasant Pkwy. 2727 W. Agua Fria Fwy. 12602 N. Paradise Village Pkwy W.
21398 S. Ellsworth Loop Rd. 9000 E. Indian Bend Rd. 1800 E. Rio Salado Pkwy. 9830 W. Lower Buckeye Rd. Vantage West will be closed on the following holidays. Shared branching allows you to access your Vantage West accounts from participating financial institutions – nationwide! Not all branches are shared branches. Please select a specific branch to find out if it participates in shared branching.